EU countries may delay a decision on whether to roll over economic sanctions against Russia, with Italy wanting the bloc’s leaders to make the call at a summit next week, diplomatic sources said today (9 December). Ambassadors from the 28 member states were expected at a meeting today to sign off without any debate on a six-month extension of sanctions against Russia over the conflict in Ukraine. But with the issue proving divisive amid western efforts to enlist Moscow’s help in resolving the Syrian conflict, Rome said approval should come from European Union leaders who meet in Brussels next Thursday and Friday (17-18 December). “It is all up in the air … It is a matter of where the decision should be taken, with some wanting it to be at next week’s leaders summit,” one source told AFP. “Italy is pushing for it,” the source added. Italian sources confirmed Rome had asked for a discussion on the sanctions because it was an important issue which needed proper consideration. It should not be taken to mean that Italy opposed the sanctions, they said. The wide-ranging economic sanctions targeting Russia’s banking, oil and defence sectors were introduced after the July 2014 shooting down of a Malaysia Airlines jet, blamed on pro-Russian rebels in eastern Ukraine. There was now confusion over the next step, the European sources said. 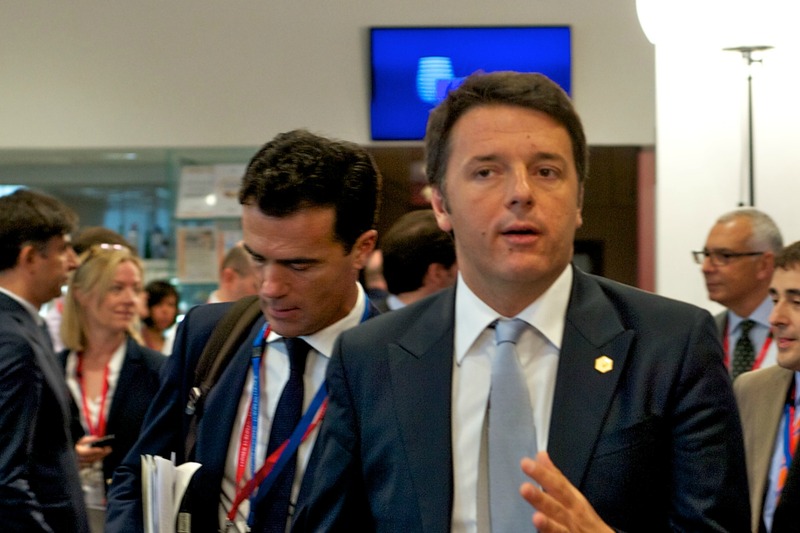 “It depends on the Italians who are waiting for a decision by (Premier Matteo) Renzi. It is possible the point will be called up again today or tomorrow or that it goes to the foreign ministers meeting on Monday,” one source said. The issue has been divisive for the EU with several states including Italy and Germany reluctant to impose sanctions until MH17. Others, such as Poland and the Baltic states who were once ruled from Moscow, take a much harder line, fearing a more assertive Russia. These differences over how best to manage ties with Moscow have re-surfaced as Brussels and Washington try to get Russia on board to end the Syrian war.